It is easy to get desensitised by all of the glamorous travel we see in the media. Practically every day, social media and surf websites/magazines hit us with a barrage of new edits and articles featuring pro surfers shredding perfect waves in idyllic destinations far from home. But the reality for most of us is one international trip per year (if that), and the majority of our water time spent on the sand bars and reefs located a few miles from our houses. Fortunately, there is another way to chase waves—one that is cheap enough to do for an extended period of time, and often far more adventurous than flying somewhere and staying in a surf camp for a week. The surfing road trip is a tradition dating back more than 60 years, to when Californians first began to make the trek between Malibu and Rincon—and it is still as relevant as it was in the early days. The world of surfing road trips quickly grew beyond the West Coast, and as wetsuits, vehicles, and forecasting tools evolved, so too did our approach to chasing swells. Whether couchsurfing your way up the coast, living the heavily romanticized van life, or simply driving overnight to score wave a few hundred miles away, road trips are still the ultimate in surf adventure, despite what social media and surf magazines will often tell you. Here are three of the best road trips in the sport—mandatory bucket list items for the intrepid surf explorer. © 2019 - Miah Klein. What started out as a seasonal chase from one righthand point to another has become a 600-mile journey that wends its way through numerous climatic and surf zones. Malibu and Rincon are still mandatory stops on the California road trip, but they are both technically in Southern California, which is only 1/3 of the state’s potential. The ultimate California road trip lasts months, and involves basing in So Cal during the summer and early fall, then moving up into Central/Northern California around November. But if you have the gumption (and enough coffee), it is also possible to do an abbreviated, three-day road trip, chasing a single swell the entire length of the California coast. 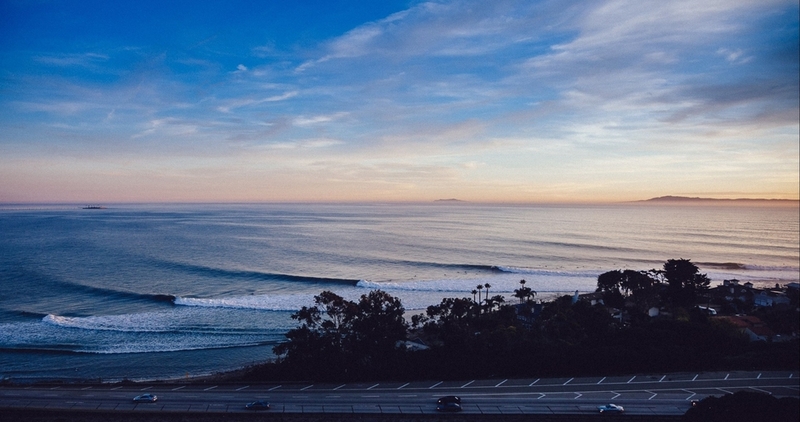 Surf all day, drive all night, and see the entire state in one go. Consider chasing a southern swell from San Diego (Blacks Beach) through San Clemente (Trestles) and LA (Malibu), then up into Central California (Santa Cruz). Finally, make an overnight push to some of the southern-facing beaches in Northern California (such as South Beach in Crescent City). CA's most exciting surfer in Griffin Colapinto? For a winter road trip, start up near San Francisco during a large NW swell, possibly hitting Ocean Beach or Maverick’s before heading south to Santa Cruz (which fires on both south and north swells), then down to the points in Santa Barbara (Rincon and The Ranch are bucket list waves for most people). If the swell is big enough, you might be able to finish the trip getting barrelled at certain Orange County swell magnets. 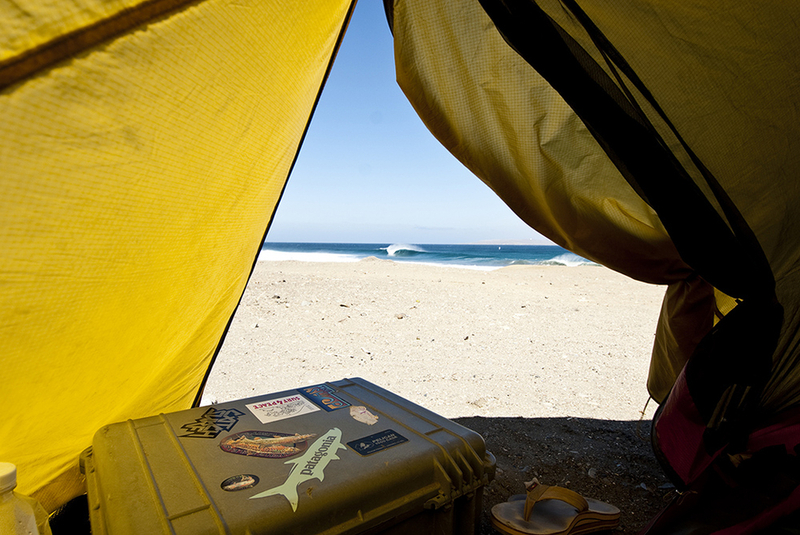 Some places have great surf, while others have great scenery. Australia’s Victoria has both, and they come together in one spectacular road trip along the Great Ocean Road. Vistas and landmarks abound, with the most famous being The Twelve Apostles. Great Otway National Park is a beautiful place to spend a few days, as are Apollo Bay and Aireys Inlet. London Arch is another must-visit natural attraction, not to mention Loch Ard Gorge and the Bay of Islands. And then, of course, there’s the surf. The journey starts at Torquay, which is home to world-famous Bells Beach and Winkipop. Then you have Jan Juc, Johanna Beach, Warnambool, and literally hundreds of other waves and surf zones that are rugged and beautiful and often completely deserted. Plan your road trip for autumn (March through May) for the best user-friendly conditions, or winter (June through August) if you like big waves and don’t mind a bit of weather. Either way, bring a wetsuit and boards that can handle some juice. Perhaps the greatest road trip on the planet—and certainly the greatest road trip in surfing—starts at the the northern Mexican border and ends at the southern tip of South America. This stretch of asphalt is called the PanAmerican Highway, and is the longest navigable road system on earth, extending close to 10,000 miles through 12 countries—virtually all of which have surf. With surf zones such as Mexico, El Salvador, Costa Rica, Nicaragua, Panama, Ecuador, Peru, Chile, and Argentina, your road trip will span numerous seasons and a wide variety of waves, including left and righthand points, beach breaks, reefs, big wave spots, and just about anything else you can think of. In other words, you will want to have a diverse quiver of boards and wetsuits that ensures fun no matter where you happen to be stopped for the night. Most people agree that this trip should be savoured rather than rushed, so don’t even think about undertaking the journey unless you have two years to burn. And while the road trip has been completed in just about every type of conveyance imaginable, you’ll probably want to invest in a proper expedition vehicle or 4x4-equipped truck, particularly if you are hoping to navigate the infamous Darien Gap between Central and South America. You’ll also want to try to learn some Spanish before you hit the road, as virtually every country in Central and South America has Spanish as its official language. But most of all, invest in a taste for adventure—because if you complete even a fraction of this road trip, you are bound to have a lot of it. Frederico Morais launches fresh campaign. A land of culture, family and surprisingly, a plethora of pumping setups.